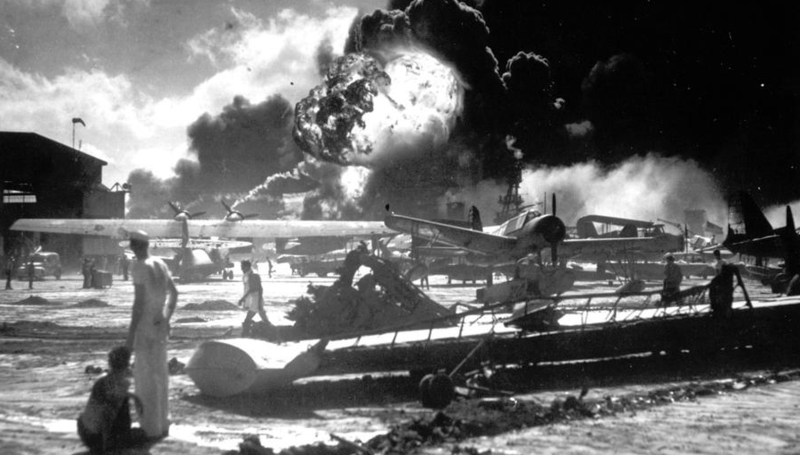 Yesterday, Dec. 7, 1941 — a date which will live in infamy — the United States of America was suddenly and deliberately attacked by naval and air forces of the Empire of Japan. With confidence in our armed forces — with the unbending determination of our people — we will gain the inevitable triumph — so help us God. The above image for this post is of servicemen at Ford Island Naval Air Station watching the explosion of the USS Shaw in the background. The photo is from a a very well done photo essay on Pearl Harbor by the The Atlantic.